Matt Ownby's Cool Projects: Philips 22VP932 connector cable made! Philips 22VP932 connector cable made! I got my feet weight crimping molex pins. 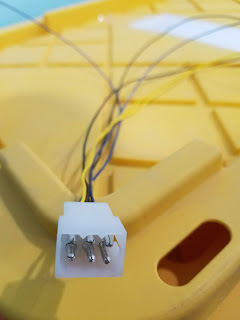 I made a prototype connector for the Philips 22VP932 that Dexter will be replacing. Euro DL PCB arrived today!